Appearance is an essential factor in creating a great first impression, and first impressions are extremely important when you’re trying to find an internship or job! Your resume helps you get your foot in the door, but your appearance is literally what your potential employer will see next! Here is what you should wear to maximize your chances to get the job you want! When it comes to dressing professionally for the Fairs and interviews, you want to make sure that your clothing is not only business professional but that it is also appropriate. If you wear a skirt or dress, make sure it extends to your knees. You’ll also want to make sure that you don’t have any plunging necklines on your shirts or blouses. If you wear a collared shirt, plan to wear a tie with it. Dark colored pants and jackets are good, but you don’t want any patterns that will stand out too much. An employer’s focus should be on you and the words that you’re saying, not on your clothing. Jewelry and makeup should be kept to a minimum. For jewelry, think limited and simple – no flashy pieces. A watch is fine to wear, but if it has an alarm, make sure that is turned off. Makeup should look natural. Make sure you have a neat, clean haircut and style. You don’t want any loose hairs to get in the way as you’re talking to an employer! You also want to make sure that your perfume or cologne isn’t too strong. If you’re concerned about it, don’t wear it. Shoes should be close-toed and limit your heel to a half-inch. Remember, you’ll be walking around the fair for a while, so wear something comfortable. Hats should not be worn, but religious headgear is fine. If you bring a bag, you can check it at our Student Ready Room during the Fairs, or you can store it in a compartment during on-campus interviews. We don’t recommend having your bag with you during the Fairs as it can limit your ability to move through the crowds. However, we do recommend having a folder or padfolio stocked with clean copies of your resume. Feel free to bring business cards if you have them. When you get business cards from the employers you meet with, you’ll want a place to store them! Also, bring your phone! Make sure it is on silent or vibrate, but bring it with you. Download the Career Fair Plus app and use it as your map during the Fairs! You can also use the app to take notes on employers you meet with. If you are second-guessing your outfit, it is probably because it is either not conservative or professional enough. It is better to be safe than sorry! For more information on dressing for success, check out our website. If you scan your closet and find nothing that fit these descriptions, it’s okay! 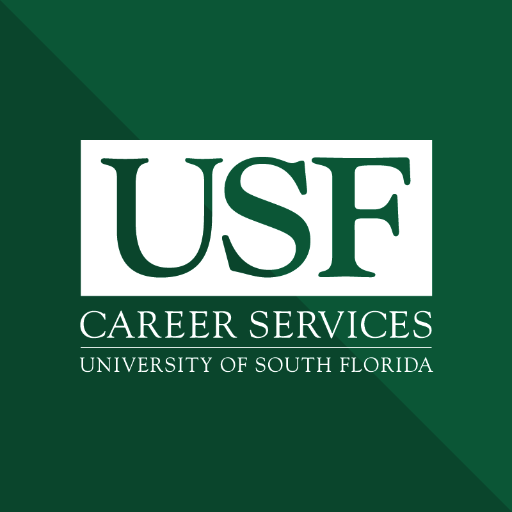 As a USF student, you have Suit- A-Bull, dedicated to helping you dress for success! Employers that we work with, and our amazing staff and faculty have donated closets full of clothes to help our students look and feel their best with the proper attire for the Fairs and on-campus interviews! You can also borrow clothing that you need for off-campus interviews and other professional-related events. Click here for current hours of operation and more information about Suit-A-Bull!